If you live in the Detroit area, and you have plans for tonight that don’t include Roadkill Nights, break them. Need to pick your baby up from day care? Don’t worry, it can wait on that curb alone for a few hours, right? Leave your stovetop on? It’s fine! Wooden houses don’t burn! Are you or your spouse in labor? Forget the hospital, just head to Roadkill Nights, find a nice brown diesel manual wagon, lay down a blanket, and crank out the most Jalop child in history! I will only accept the following excuses if you aren’t attending: wrenching, purchasing clunkers off craigslist, going to other car shows, reading Jalopnik. But really, you could do the latter on your phone, so unless you’re doing one of those first three, you should be going to Roadkill Nights. 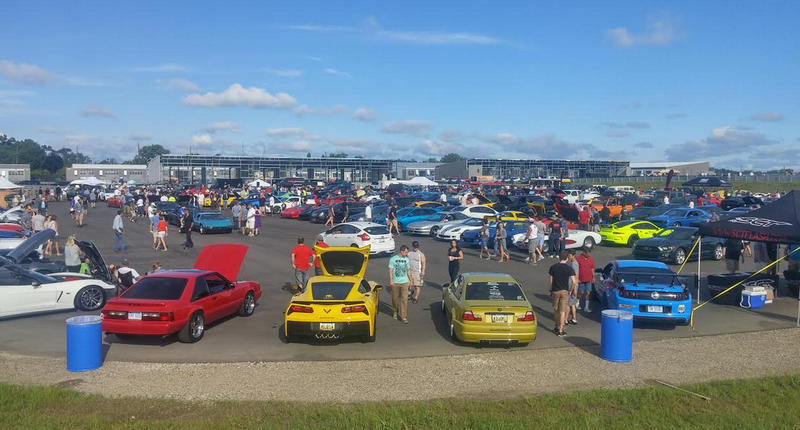 Hosted at the M1 Concourse in Pontiac, Roadkill Nights is going to be a giant hoon-fest. There will be drag racing down Woodward Ave., a giant car show, Dodge thrill rides (i.e. a driver doing smoky donuts with you as passenger), and a bunch of automotive hot shots. Most of you probably already know about Roadkill Nights, so this may be a pointless post. But just go, okay! And say hi, because I’ll be there all day.